I asked Will what exactly he'd built, and he described this carefully constructed conglomeration of plastic tubs, fabric bins, books, binders, pillows, and his desk chair as "a fort for Tux". I thought for certain Tux would thank me for rescuing him, but when I dug my way through the pile I found him curled in a little ball under the chair. 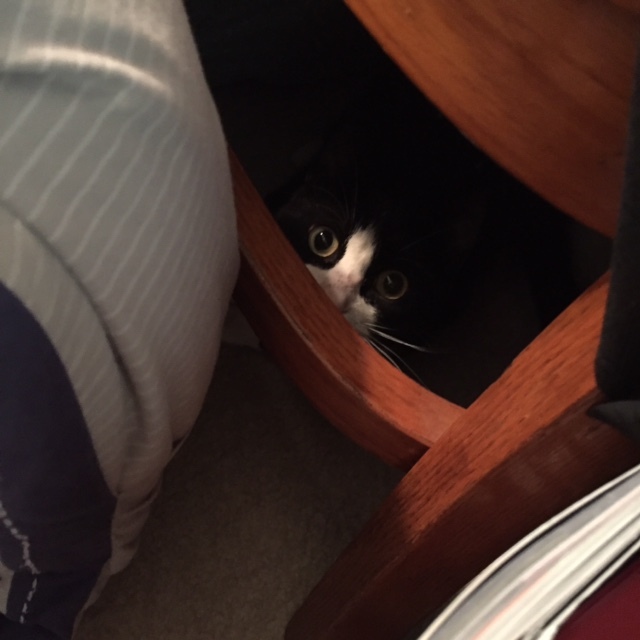 Turns out Tux doesn't always mind being trapped.